> Jeux de Société>Imports jeux de société>Descent: Journeys in the Dark 2nd ed. 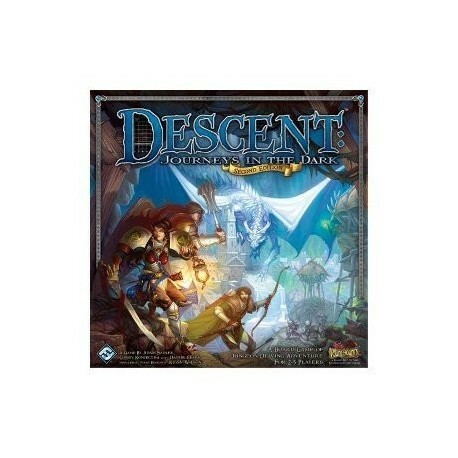 En savoir plus sur Descent: Journeys in the Dark 2nd ed. 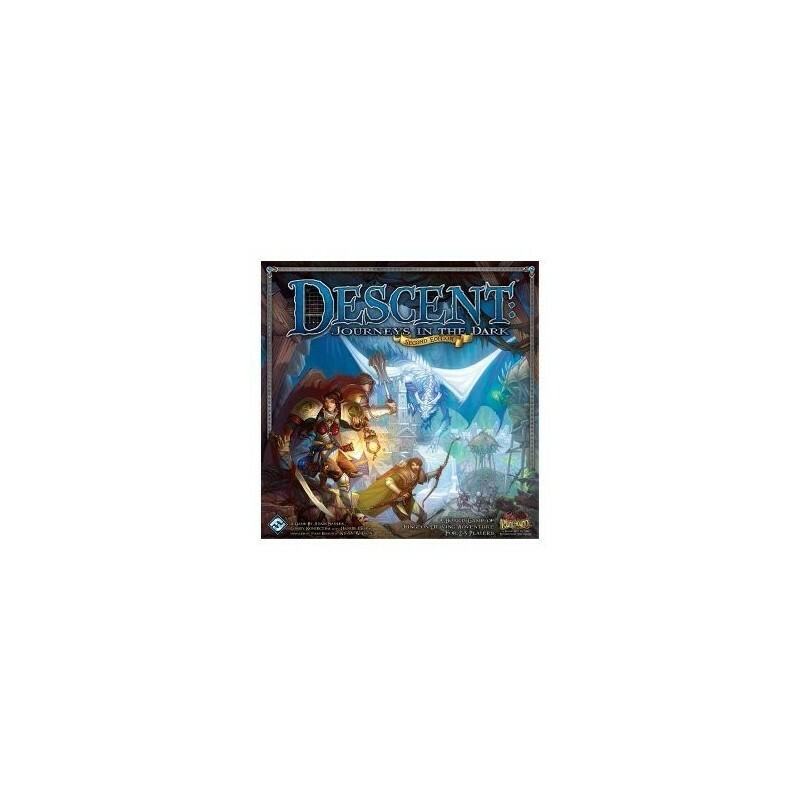 Descent: Journeys in the Dark (2 Edition) is a board game in which one player takes on the role of the treacherous overlord, and up to four other players take on the roles of courageous heroes. During each game, the heroes embark on quests and venture into dangerous caves, ancient ruins, dark dungeons, and cursed forests to battle monsters, earn riches, and attempt to stop the overlord from carrying out his vile plot. For such times, Descent: Journeys in the Dark (2 Edition) uses a unique dice-based system. Players build their dice pools according to their character's abilities and weapons, and each die in the pool contributes to an attack in different ways. Surges, special symbols that appear on most dice, also let you trigger special effects to make the most of your attacks. And with the horrors awaiting you beneath the surface, you'll need every advantage you can take… Featuring double-sided modular board pieces, countless hero and skill combinations, and an immersive story-driven campaign, Descent: Journeys in the Dark (2 Edition) transports heroes to a vibrant fantasy realm where they must stand together against an ancient evil.